The bishop especially wants to encourage better preparation for the sacraments of baptism and matrimony and greater help for families, in particular by helping them to see marriage and family not merely as “one option among many” but as a real vocation. He also wants to encourage prayer within the family, knowing that generally speaking the family is the first and best “school of love and faith” and the first place the children will experience these things. He is also encouraging Bible courses to help people better know and understand the Good News of the Gospel. Finally, he wants to encourage youth work and the vocations apostolate. With all this in mind, and given the massive distances the bishop has to cover within his prelature, it is vital for the bishop to have a solid and robust all-terrain vehicle. He has turned to ACN for help, and we are proposing a contribution of $18,000, so that he can obtain a suitable vehicle. 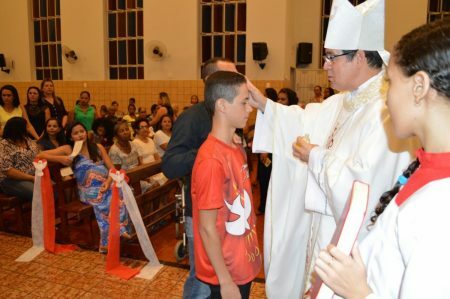 Will you help provide Bishop Vieira with the sturdy vehicle he needs to reach his people in Brazil?